No commitments. That's right, you can cancel at any time. 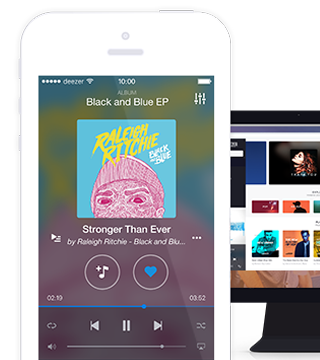 *	Deezer Premium, 30 days free: cannot be combined with any other offer. Valid one time only for 30 days. This offer is non-binding. You may cancel your subscription at any time. **Deezer Family is available for up to 6 members of the same household residing at the same address. 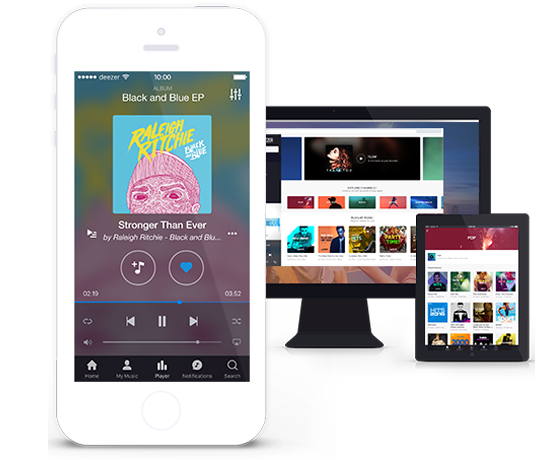 6 Deezer profiles for £14.99/month. If you are a Deezer Premium subscriber and choose to upgrade to Deezer Family, you will immediately be charged £14.99. Your Deezer Family offer will start immediately and your Deezer Premium subscription will be terminated. Any payment already made during the month of the switch from Deezer Premium to Deezer Family is non-refundable. This offer is non-binding. You may cancel your subscription at any time. *Only available on selected soundsystems and the Desktop App. 30 days free for new subscribers who have never activated any previous trial or promotion. Cannot be combined with any other offer and valid one time only. This offer is non-binding, you may terminate your subscription at any time. What could be better than 3, 6 or 12 months of unlimited music? Have a Deezer gift card?